STR GETS THE MUCH NEEDED RELIEF! Sri Thenandal films lead by Murali has had an extremely successful 2015 with respect to the range of success the films it produced and distributed achieved. 2016 is also going to be as promising as the previous one and they are set to start their success streak for this year through the horror-comedy flick, Aranmanai 2. This Sundar C directorial will hit the screens on January 29th and the CBFC has granted an ‘U’ certificate to this entertainer featuring Sidharth, Trisha, Hansika and Poonam Bajwa in the lead. Another exciting piece of information from this production house is that it will be distributing the long pending Simbu-Nayanthara feature, Idhu Namma Aalu throughout Tamil Nadu. This is indeed a good news for all STR fans. The official announcement of the release date might be the next move that we have to watch out for. What if Ajith played Assault Sethu? No lady love for Vijay yet! I am a 'Loosu' to my wife, says Madhavan! 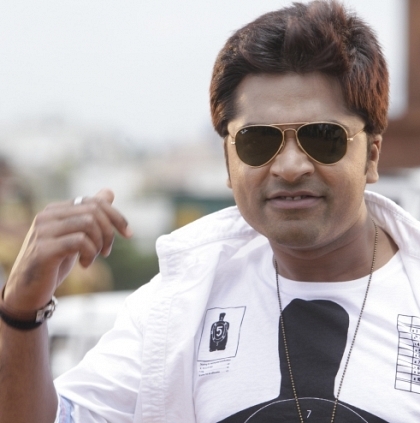 Idhu Namma Aalu To Release In October! People looking for online information on Aaranmanai 2, Idhu Namma Aalu, Sri Thenandal Films will find this news story useful.